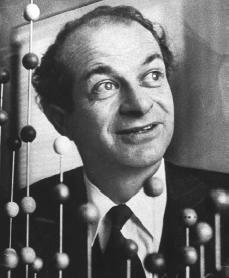 Should Linus Pauling’s erroneous 1953 model of DNA be retracted? We love history at Retraction Watch, but with few exceptions, such as covering what seems to have been the first-ever English language retraction in 1756, the daily march of retractions doesn’t leave us much time to take steps back. So we’re very glad to be able to present a guest post by our friend Jeff Perkel about a classic paper that scientists have known to be wrong for most of its nearly 60-year-life — and yet remains in the literature. The date is December 31, 1952. Linus Pauling, the CalTech wunder-chemist who had recently solved the secondary structure of proteins by describing the alpha-helix and the beta-sheet, has just submitted a “Proposed Structure for the Nucleic Acids” to the Proceedings of the National Academy of Sciences. The PNAS description appears in February 1953 and runs for 14 pages, with seven figures and two tables (compare that with Watson and Crick’s one-pager two months later in Nature). That structure – a triple helix with the phosphates in the middle and the bases radiating outwards – was similar to one Watson and Crick had first advanced a year earlier and then rejected on both chemical and physical grounds. It also in no way accommodates Chargaff’s observation that the abundance of A in DNA approximately equals T, and C equals G. It also fails to explain the biology and replication of DNA. As detailed in the excellent Oregon State University archive, “Linus Pauling and the Race for DNA,” around Christmas 1952, Pauling wrote of his discovery to a Cambridge chemist. I have practically no doubt. . . The structure really is a beautiful one. not the last word on DNA but the first. He wanted the initial publication that would be cited by all following. It did not have to be precise. At once I felt something was not right. I could not pinpoint the mistake, however, until I looked at the illustrations for several minutes. Then I realized that the phosphate groups in Linus’ model were not ionized, but that each group contained a bound hydrogen atom and so had no net charge. Pauling’s nucleic acid in a sense was not an acid at all. Moreover, the uncharged phosphate groups were not incidental features. The hydrogens were part of the hydrogen bonds that held together the three intertwined chains. Without the hydrogen atoms, the chains would immediately fly apart and the structure vanish. At physiological pH, those hydrogens would disappear, and so would Pauling’s structure. Today, of course, we know that the structure of DNA is a double-stranded, antiparallel helix with the sugar-phosphate backbone on the outside and the bases paired in the center like the rungs of a ladder. It is, undeniably, an acid. was the result of more than a decade of off-and-on analysis and thousands of man-hours of meticulous crystallographic work. More to the point, Pauling wanted to be first to the prize, beating out his UK rivals led by Sir William Lawrence Bragg. He rushed, and he thought he could get away with it because of his pride in his own ability. He wanted the prize, he gambled, and he lost. Sixty years later, that gamble remains on the books. “A Proposed Structure for the Nucleic Acids” has never been retracted. It has been cited 109 times, including at least once in 2012. Pauling died in 1994. His coauthor Corey died in 1971. Still, the question remains: Should a paper, known for over five decades to be dead wrong, be retracted? Does it even matter? Weigh in on our poll prompted by the lively discussion in our comments. Why on earth should a paper be retracted just because it turns out to have been wrong? You’d obliterate 90% of the science literature if you retracted every paper that subsequently turned out to be incorrect. Agreed. I don’t think a paper should be retracted based on the fact that it later was proven to be wrong, providing all the data presented was accurate based on the author’s own research. It does not immediately appear that Pauling manipulated any data to make his paper better accepted, rather he simply rushed his research and did not take the time to verify (or reject) his findings. Totally agree. Most published research turns out to be wrong. Like RW says, retracting all the wrong stuff would decimate the literature, and we need to see what turns out to be wrong. It is all food for fertile minds, including mistakes. I agree. If everything incorrect in the literature was retracted, a university library would fit in a broom closet. Even our textbooks would be shorter reads, if we throw out all the false turns. I think you can make the argument that just because a paper is incorrect does not mean that it should be retracted. An awful lot of published literature is wrong, but that does not mean it’s fraudulent, unethical, or anything else that usually warrants retraction. It’s just not right. But the incorrect papers may still deserve to be read and examined and may still offer important perspectives. Agree with RW. The technical literature exists for people to learn from – and if everything that turns out to be wrong needs to be retracted, much of that learning will disappear – because we often learn more from previous errors in trying to find the correct answer than we do from knowing the correct answer. To travel is often more interesting than to arrive. No retraction is needed. This is how science works, or is supposed to. Competing solutions, honestly arrived at, were published. One was right and the other was wrong and everyone knows what happened. The historical record should be preserved intact. The process of resolving such a difference often takes much longer. The title was clear: It was a proposal. The paper do not have to be retracted. In any case it is a good piece of scientific reasoning to explain the experimental data available to Pauling. I worry about these types of articles on RW, which really don’t do a good job of bolstering your scientific credentials. The literature is overloaded with findings that subsequently turn out to be wrong, usually because the tools available at the time (plus a bit of ambition and politics for good measure) led the authors to draw an incorrect conclusion. Most scientists (and I would hope readers here) would probably agree that the retraction mechanism is reserved for experimental results that cannot be repeated (due to artifact or lack of consideration for certain conditions), for cases of intent-to-deceive (image or data fabrication, massaging statistics, plagiarism etc), and for cases where the result is simply incompatible with what is known (e.g. the laws of physics) at the time it was written. If knowledge comes along subsequently which shows the conclusions were naive at the time, so what! I HOPE one day that all my publications are proven wrong – it will be a firm indication that science has moved on and we now have a much greater understanding which makes my limited early 21st century results look naive by comparison. I have to pile on here. Retractions because things turn out to be wrong are a horrible idea. Ask any physicist: The worst insult in physics is not to call an idea “wrong,” but to call it “not even wrong,” an acknowledgement that things that turn out to be wrong can advance a field in tremendously valuable ways. Also note the structure of the paper: The very title contains the word “Proposed”! How explicit are you supposed to be that you’re submitting a model for consideration and argument, and the stimulation of experiments, but don’t believe you have the data to nail it down? I’m sorry, this is just absurd. Science is built on mistake, and mistakes have to remain available for reading. For all I know mistakes can be proved not so flawed anytime, and if one would retract all wrong hypothesis, we would loose 90% of all produced knowledge until now. One has to know about past History in order to understand the present world, the same goes for science. Isn’t there anymore use for Corrigenda, or Correction Papers? This whole idea sounds even dangerous to me. I’m with Ivan on this. A paper describing an acid in a way that removes acidity, was wrong at the time of publication, not just decades on. If we have to retract papers containing an error in thinking from the literature, goodbye 90% of even the correct science! Too bad Pauling didn’t have Franklin’s data to save him (from the same mistake Watson and crick made)! I think the Watson Crick Nature paper, in contrast, should be retracted for ethics violations. But that’s the modern era, or error, if you will. Ask an honestly wrong hypothesis to be retracted, mythologized unethical work. And we wonder why biology has an ethics problem! Wonderful foundations! Science is built on human foundations and we are all flawed. I think the answer lies in the title of the paper: “A proposed structure…” There’s nothing wrong with proposing. He was wrong, and for a paper that he hoped would be ground-breaking, it hasn’t been cited all that many times (everything is relative.) I say let it stand. I agree with my fellows above. It should not be retracted just because the conclusion is wrong. We need room for “tentative proposals” and for speculation, as far as there is no wrong doing. This also makes advance science. I wonder what the impact of Pauling’s proposal on Watson’s and Crick’s work may have been. Maybe knowing a wrong answer may help working around to the right one. Also the original Watson and Crick paper did cite the Pauling and Corey paper and commented on problems of *interpretation* of their dataset. I take this to mean that Watson and Crick felt that Pauling and Corey data was sound, but misinterpreted. As long as the data is sound and there is no plagiarism, I see no reasonable need for interpretation of results to be a rationale for retraction. In my opinion, it’s the job of the literature, (e.g. reviews and discussion sections) and teachers to take care of that. Why should the article be retracted? Absurd proposition by RW. I would suggest to build a foundation by reading some good books on epistemology and the philosophy of science. Dr. Mario Bunge’s monumental work would be a good place to start. The paper should not be retracted nor should it have been accepted. Well, you are wrong there. Of course the paper should have been accepted. It was a proposal to solve the most important problem of the day. It was wrong, but so what? It might have led W-C to the correct conclusion by its wrongness. In plain words, Puling knew his proposal was rubbish. If the manuscript had been submitted by a no-name, reviewers would have likely destroyed it. But maybe PNAS allowed selected few to bypass peer-review altogether. Pauling likely communicated the paper himself. One of the former advantages of being a NAS member: you could get almost ‘free’ publications in PNAS. I just came across this site as I thought it might be interesting. Judging by this article, however, it appears this is another rubbish site that spins a piece of no-news that is not useful and absolutely boring to boot. Don’t judge this site by this piece. This site is arguably one of the key sites in contemporary science, IMROO. Where else can you find the details of the real story about evil in science? You’re just writing what Percy, Bill and Roy want you to write. I think chirality is more right- this is a paper that was highly speculative and maybe was published on reputation. No retraction- OK to ask as a conversation piece, but kind of silly. When it first started, it was different. Believe me. I would like to post a retraction: I still think this article is rubbiish, but I have been exploring the rest of the site and it looks quite good. So although I uphold my view that probably there were no nice retractions to talk about, and hence the scraping the bottom of the barrel with Pauling’s article, I have to admire the site in general. Another angle people might find of interest – one of Dipak Das’ arguments for why he is not guilty of research fraud is that certain conclusions of his work are in common with those from other authors. However this is irrelevant – it is the means by which he reached those conclusions that is the problem, with the evidence indicating fraud on a large scale. In this case we have the opposite case – a paper that was subsequently proved to be incorrect. As long as the means by which it was produced did not involve fraud i.e. falsifying / fabricating the results of experiments, then there are indeed no grounds for considering retraction. Without reading the original paper and understanding the science one cannot be sure, but from what I understand this was more a theoretical prediction rather than a laboratory experiment, so fraud seems intrinsically unlikely to have been involved. Retraction? No. But what I would like to see in the days of online journals would be a notes on such articles that say: “Later research (citation) showed that (some) conclusions of this paper were incorrect”. It would make digging into a new field so much easier if you knew this right away. And it would not taint the reputation of the authors as a retraction would. As I recall the first published DNA sequence of HIV form a collaborator of Gallo (I think Wong-Stahl may have been first author) was wrong, and subsequently retracted. Both seem to be similar instances of data that was not fabricated but the final sequence (Wong-Stahl) or final model (Pauling) was wrong. So what’s the difference between these two cases? I think NMH hits the nail on its head: we have seen papers that are wrong being retracted by the authors themselves. So, why do that, while an obviously wrong paper as that of Pauling still is available as a regular publication? I understand why some people react a bit irritated by the title, but in reality it is a very difficult question: when do we retract a paper? What are the ‘rules’? Some retract papers that are wrong, but how wrong must it be to warrant retraction? Some say Pauling’s paper contributed to the discussion, e.g. its proposal of the triple helix structure may have contributed to others considering a triple helix as a possibility. Others state that its basic flaws are so basic that it simply is too wrong. There’s something learned in the advancement of knowledge itself. It would be a shame to destroy that knowledge. All models are wrong since they can never fully represent the complexity of the phenomenon of interest. Retract them all, I say. I will also pile on and say if you want to no longer cite published work it would make a lot of contemporary science meaningless, not least to anyone trying to figure out whether a current set of experiments is worthwhile — if you retract all the wrong ones you would leave a lot of grad students reinventing wheels. In physics, for instance, people still cite findings that are quite incomplete and by modern lights, wrong. Maxwell and Newton are both wrong. In fact, their wrongness was precisely what enabled Einstein to even ask the proper questions to get to Relativity. And the old Bohr model of the atom is wrong, too, but it is still cited as a starting point to learn physics and chemistry. One can argue with that on pedagogical grounds, yes, but the point is that if you retracted physics papers that were later proven wrong, you’d lose a lot of the literature, even by the greats. All these excuses and defence, make me wonder if Linus was not who he is…will the answer be YES, retract immediately. there’s a bit of confusion because this paper might not be the best example for discussing “future retractions”. This was no Newton later proven wrong by Einstein. This was a flawed description the author knew as incorrect on several fronts and at least one fellow scientist recognized as fundamentally impossible (the acid not being acid). The equivalent of a.scientific divertissement, or shall we say vanity publishing. Since all that information was available at the time of publication, but the usual antiscientific attitude towards Authority prevented the necessary voices from speaking out, Pauling’s “contribution” to DNA understanding should be marked as “wrong on all counts”, aka “obsolete before publication”. Emory chemist presented in a recent post? I recall many people were supportive of retraction back then. I agree, it’s very similar, and I was completely unable to understand why anything should have been retracted in that case. Until we become capable of time travel, retractions don’t work particularly well as there’s no way to mate them with all the false originals already disseminated. I won’t read RW again until this post is retracted. Prior to the double helical structure of DNA proposed by Watson and Crick in 1953 , Pauling and Corey proposed a triple helix as the structure of DNA . Although the original proposal for the basic structure of DNA turned out to be wrong, the existence of triple helix was reported and confirmed later . So how about that. Pauling was right. His model is not how DNA works but the molecular structure he proposed does occur. Lee et al. cite the paper, succinctly and accurately state what it got wrong, and what it got right. Now, would retracting the Pauling paper have a) helped or b) hindered Lee et al in their scientific work? Pauling was still wrong. The later confirmed DNA triple helix consists of an additional single strand of DNA wound around a B-form double helix, with the phosphates at the outside of the structure, and not like Pauling suggested at the center. Not being a chemist I was not really in a position to say “Pauling was right” and be sure I wasn’t making a fool of myself. Thought it was worth saying for the sake of being provocative though 🙂 The point I’m trying to make is that even if he was wrong, his paper was still a contribution to scientific progress. That it has been cited 109 times surely indicates that. If some part of the scientific community had taken it upon themselves to brand it as incorrect and unworthy, it seems to me that that would have been very damaging. And if this branding was going to be applied to tens or hundreds of thousands of scientific papers, that would be catastrophic. I am not able to perceive any problem that has arisen from this “wrong” paper remaining fully available, untainted and cited according to the judgement of the scientists citing it. I would like to suggest a couple of rules for such cases, although I’m afraid nobody will hear me because of the noise generated by this somewhat dephased RW post… 1) A paper for which the correspondence author X has passed away should NOT be retracted, under ANY circumstances (after all, it’s unfair, and maybe unethical, to force someone to retract a publication if he is unable to give its approval, for obvious reasons). 2) If a paper published by Y et al. after the publication by X et al. unambiguously shows that X was wrong, and providing that Y acknowledges the X’s paper with suitable reference(s), the editor of the publication by Y et al. could be allowed to ask the editor of the X’s paper to link the archived wrong paper to a notice like “caution: Y proved that X was wrong. As a consequence, the paper by X, although retained in our archives, should not be used as a support for future research”. Note that these rules remain unchanged if X and Y are deceased, because only editors are involved in the final decision. Well, this is just a suggestion. It’s obviously totally useless for the Linus Pauling PNAS about DNA structure, since the story is now in the “culture générale” domain. I assume the PNAS has never been cited in a positive way during the last 50 years. Interesting ideas! I agree that the “rules” relating to retraction are murky and should be clarified in a way that leaves papers that are merely “wrong” in the literature. But I have to disagree with the specific measures you’ve proposed…. Recently, Wataru Matsuyama, a “serial offender” author with multiple papers retracted for fraud, committed suicide (http://www.ncbi.nlm.nih.gov/pmc/articles/PMC2633241/). Should that lock his other (non-retracted) papers into the literature in perpetuity? And, when author Y disproves author X, why should we think that Y has achieved the truth? More than likely both authors are at least a bit wrong and the last word won’t be had for years to come. The literature is a dialogue between labs. Retracting papers amounts to censoring that dialogue in a way that I can’t support, except in limited circumstances. Retraction can be a nuclear solution to a diplomatic question. I favor nuclear non-proliferation. Should we be using the words True and False as opposed to Right and Wrong here? Using the words right and wrong may not be adequate as it implies the scientists are putting themselves at the heart of their conclusions and thinking. Right and wrong is about describing the character of the scientist as an individual. Are we not trying, even if probably impossible, to understand what is True by figuring what is False (by falsifying hypotheses)? Isn’t Science the ART of doing that? Of course a majority of science published is false! Or one should say even though it seemed to present the truth at the given time, it will be proven false (falsified) at the end of the day. Some potential reasons why so much literature would be false? 1- Everything that is currently known for fact is extremely minute as compared to what is to be known. 2- The methods to see what there is to be seen are simply nowhere close to what would be needed to understand everything. 3- We are deeply biased by our Cultures, the way we represent the complex world through over-simplified communication/words 4- your reasons here! The blogger has completely missed the idea behind Science!!! If one cannot get the opportunity to say something that can be falsified, then one can never attain the truth, by definition. Shouldn’t retraction mainly concern data/results purposefully fabricated in order to promote a conclusion, whether the conclusion ends up turning out to be resisting falsification or not in the end? Or maybe the way I think about it here is wrong! Right? This is like the WB thing all over again. Unbelievable. I really wish RW would stop whipping up these ridiculous debates for the sake of press coverage. These kind of articles go beyond what RW should be about, in my opinion, and are needlessly damaging. The poll is total BS too. How can 30% think that a correction is required????? The only sane answer is to leave them alone and stop talking shite about retracting them. Please Ivan et al., stop this kind of BS. Please. I agree the controversy is fake, but I never knew about Pauling’s DNA structure, so at least I learnt something quirky. Minded to agree. It really is rather a sensationalist question which, if you follow the principle that ‘incorrect data should be retracted’, requires a group (cabal…) to ‘police’ old publications, removing what has been disproven. It goes without saying that the record should stand – revisionism in history is dangerous – and it should not even be contemplated in science. The record should stand. Even in cases where the details are holly incorrect, the general tenet of fallible papers may be right and have in some small part contributed to the bona fide observations at a later date. Remove all disproven data and you risk removing the foundations and demonstration of thought processes that compile modern science. Hydrogen is rather tiny, as atoms go. He probably just didn’t see them in his final illustration, as he was rushing to publish. Now, if he had placed a carbon atom in the wrong position, that’s quite different of course, and not at all acceptable, because carbon atoms are really, really big. Next Next post: So what should happen to scientific papers that are proven wrong?